Subscriber survey question: We would really like to hear more about your decision to subscribe. What made you subscribe to the Guardian today? 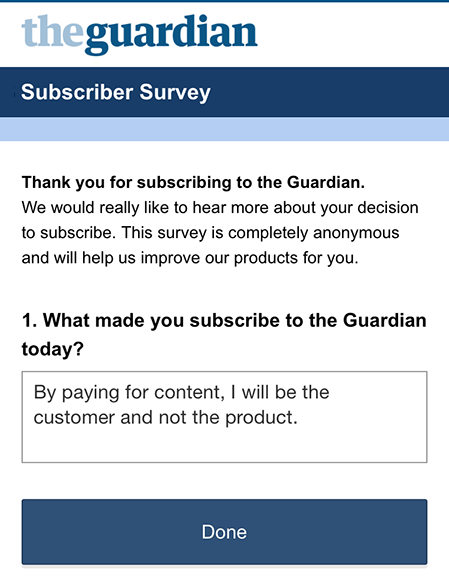 My answer: By paying for content, I will be be the customer and not the product. Relaterat på Blind Höna: Pay for the future: Sue Gardner om falska nyheter (25 nov 2017).